So I’m just popping in real quick with a layout share from Miss Naomi. 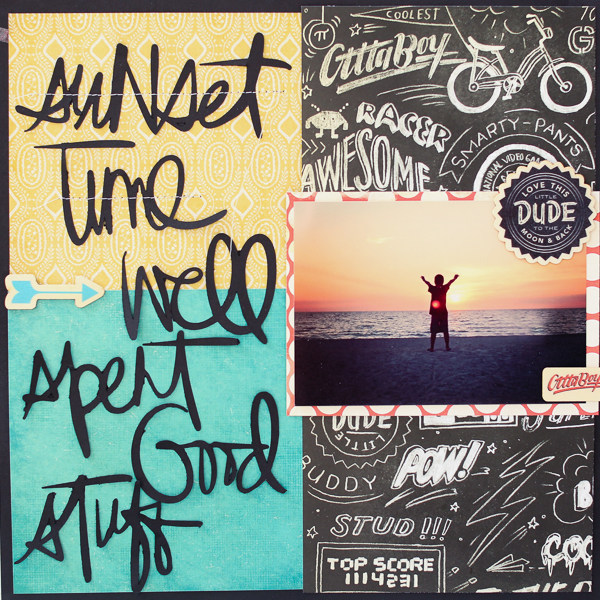 Lots of great fun words to showcase this summery beach-themed layout! 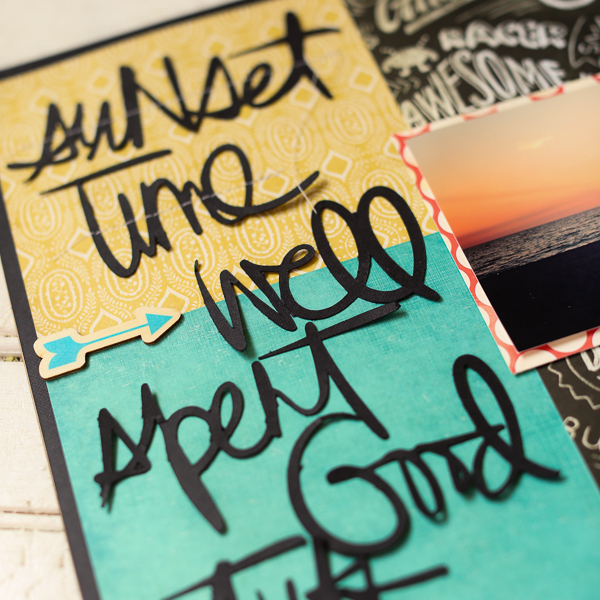 And a wonderful idea to make a border of words down the side of the page! Okay, now let’s hope my weird week is done being weird. Awesome summer LO!! TFS it! Magnifique ! Une page estivale avec une photo qui fait rêver ! Adorable – I love it!